A popular subject among readers of Blender 3D Architect are assets to use in architectural visualization. Where to find good resources that are compatible with Blender and that might give you some aid in the production of your projects. Doing a quick search will show you a lot of potential resources, but most of them will come in formats like MAX and DWG. Those formats are proprietary and will give you some trouble to import directly to Blender. Do you want to visit a collection of furniture and objects for architecture with compatible formats for Blender? 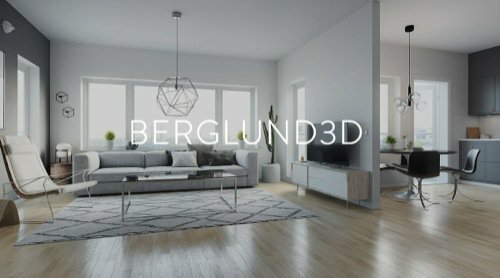 The collection of free furniture models for architectural interiors is a creation from Sweden artist Andreas Berglund, and to download the files, you will have to visit their website to get the links. You will find a total of twenty-six models that are free to download. To use them in Blender you will have to go for either FBX or 3DS. Using those two file formats might give you some triangular faces, but they will work with Blender and Cycles. It might need some work like a retopology, but you will at least get the full topology ready to work. What is retopology? That is a technique we often use to rebuild the structure of a 3D model using an existing mesh. As a result, you will get a new model with much less time and total control over the structure. Don't miss the opportunity to add those models to your collection of assets. For artists with a Google Drive account, you can even avoid the direct download. Most of the files are coming from a shared link in the authors own Google Drive. You can copy them directly.